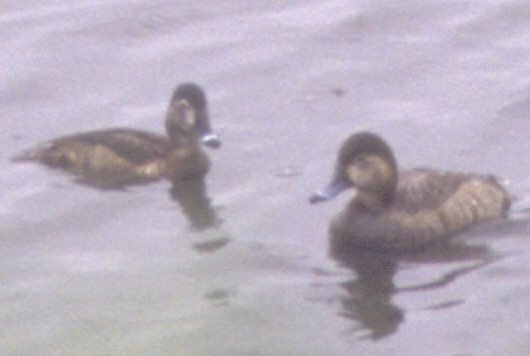 This Aythya is presumably an odd female Redhead. 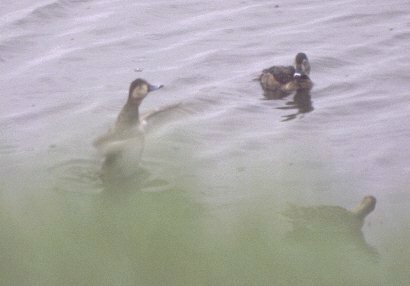 It was with two RNDU females at Village Creek Drying Beds, Fort Worth, TX on March 22, 1998. 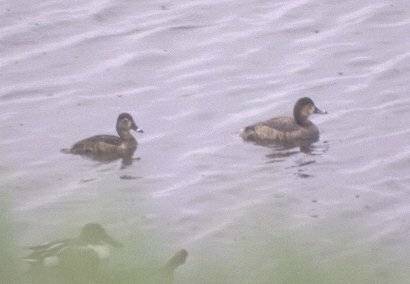 Note the extreme contrast in the face, the clear contrast between the pale flanks and the dark upperparts and chest, the unusually sloping forehead, and the dark-based bill. 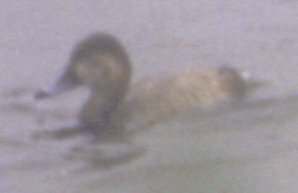 The identification is far from clear-cut and this bird exhibits some features associated with Common Pochard - but the latter species should have a more sloping forecrown, with the peak well behind the eye - in fact the accompanying RNDU has a more Pochard-like head shape. 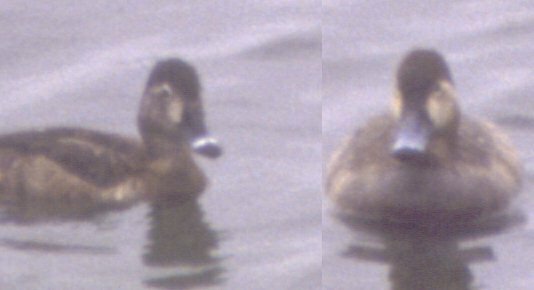 Also in Common Pochard the back and flanks typically are frosty-edged, creating an overall pale effect. 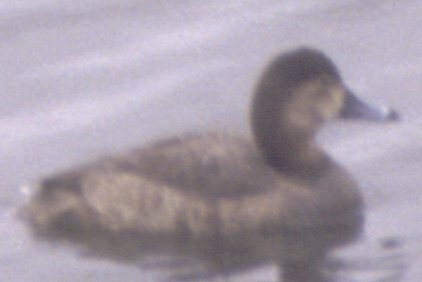 Comments are invited from anyone experienced in Aythya identification.